Several hours ago, at approximately 7:50am EST, we entered into a new era of space exploration. 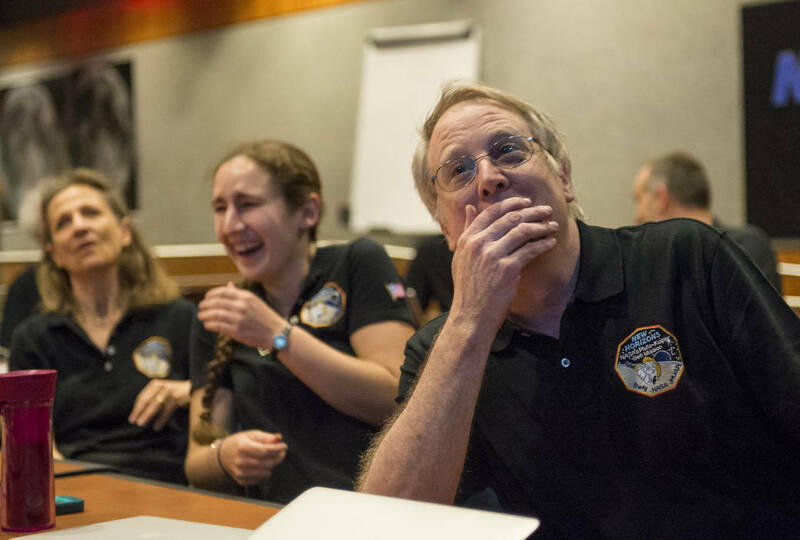 New Horizons flew past Pluto. This was a moment that many have been waiting on for a long, long time. The journey to Pluto took us nearly a decade, and that’s just counting travel time. It can be said that our path to Pluto really began in 1990, when Alan Stern and Fran Bagenal started fighting for a mission to the icy dwarf at the edge of our solar system. And now, 25 years later, after several project cancellations and funding issues, after technological issues and an abrupt demotion in planetary status, after 3 billion miles (4.8 billion km)…we have reached our goal at last. We sent a tiny spacecraft to the edge of our solar system. And now, like Voyager before it, New Horizons is traveling off towards interstellar space and the infinity that awaits. It is quietly heading off into the vast unknown as, behind it, our Pale Blue Dot slowly grows fainter and fainter, fading into the distance. It is a staggering realization. And whatever darkness plagues humanity, whatever horrors people may commit, at one point, we came together. And when we did, we sent pieces of ourselves off to the stars. I know that it probably won’t be, but when future generations look back at the people that were alive today, I hope that this is our measure. Of course, I am not the only one waxing eloquent. “The exploration of Pluto and its moons by New Horizons represents the capstone event to 50 years of planetary exploration by NASA and the United States,” said NASA Administrator Charles Bolden. “Once again we have achieved a historic first. The United States is the first nation to reach Pluto, and with this mission has completed the initial survey of our solar system, a remarkable accomplishment that no other nation can match. 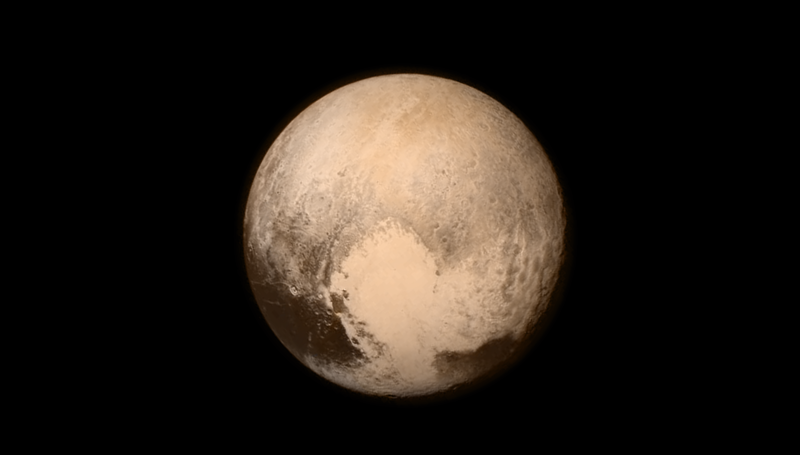 But here’s the thing: The above isn’t the image from the Pluto flyby. In truth, the photo comes from the Long Range Reconnaissance Imager (LORRI), which is aboard NASA’s New Horizons, and the picture was taken on July 13, 2015. At this point, the spacecraft was still 476,000 miles (768,000 kilometers) from the surface of Pluto. Now, this is the last and most detailed image sent to Earth before today’s closest approach (it was just released a few hours ago), but it is not the image from the closest approach. We won’t get those for a little bit yet because, unfortunately, Pluto is rather far away. In fact, it is so far away that it takes nearly 4 and-a-half hours for information from New Horizons to reach us. Ultimately, this means that it will take over a year for the onboard computer to transmit all the scientific data back to Earth. Fortunately, we won’t have to wait that long for photos. The first close-up images of Pluto and Charon are expected to be available tomorrow (15 July 2015); however, with some luck, we might get them a bit sooner. 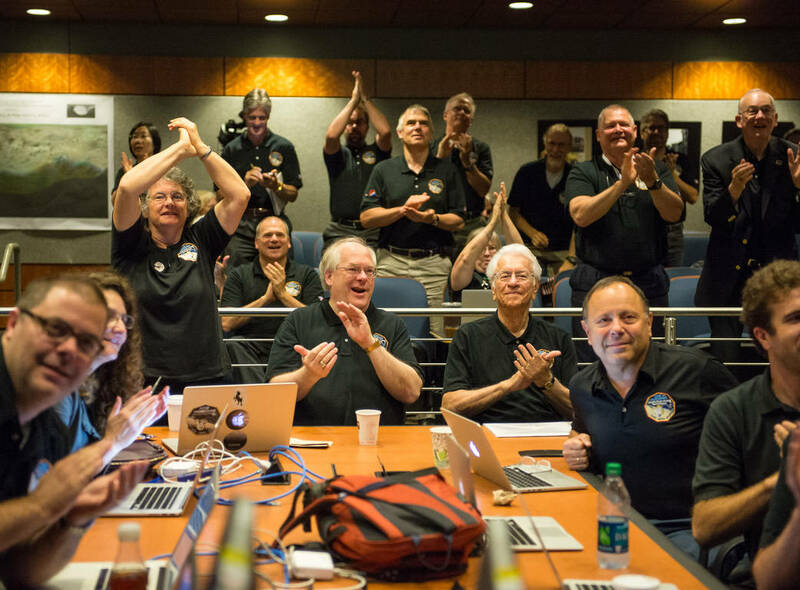 At its closest approach, New Horizons was just 7,700 miles (12,500 kilometers) from Pluto. Compare that to the hundreds of thousands of miles that separated Pluto and New Horizons in the image posted above. Can you imagine how clear the photos from today’s closest approach will be and what scientific wonders they will allow us to uncover? Because we’ve already discovered a lot, and all these discoveries come from images and data that was recorded when New Horizons was still quite a distance from icy Pluto. For example, if you scroll back up to the most recent image of Pluto, you’ll note that the photo is dominated by a rather large, bright feature that looks remarkably like a heart. This formation measures approximately 1,000 miles (1,600 kilometers) across. At this resolution, a majority of the heart’s interior seems to be featureless. NASA scientists assert that this could be a sign of ongoing geologic processes. Ongoing geological processes on this cold and (seemingly) dead world. It truly boggles the mind. In the end, the data that we receive from New Horizons’ closest approach will allow us to uncover more about this formation, and other features on Pluto. It will also allow us to better understand the Kupier Belt (a disc-shaped region of icy objects beyond the orbit of Neptune, which is the home of the comets that orbit our sun) and how the comets that live here came to be. I feel like I should have something more to say. Some great final word on the significance of all of this. But I suppose I will let Fraser Cain, from Universe Today, have that. His reaction to seeing the latest images (and the subsequent discussion) is worth a watch. Stay tuned for more images, and the long awaited photos from the closest approach. New Adult Teeth Can Now Be Regrown in Your Mouth!